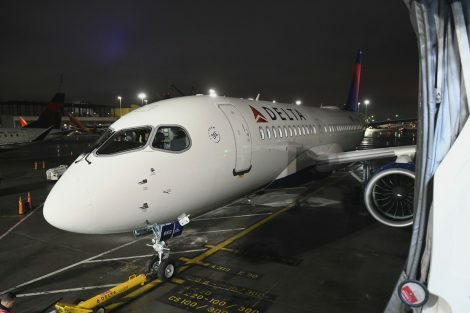 Finally, after court disputes and even a change of name and manufacturer, Delta debuted its first flight with the new Airbus A220-100. 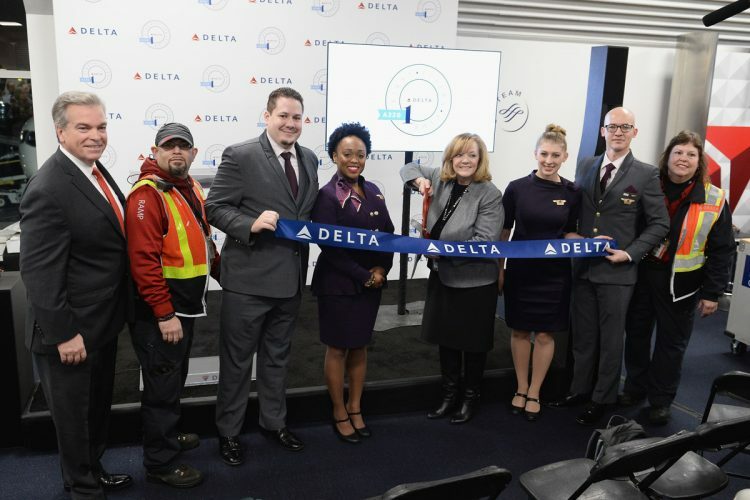 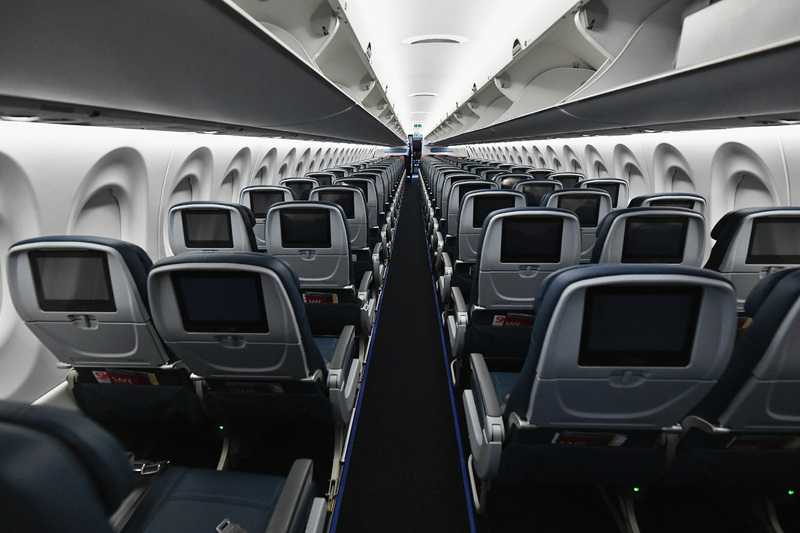 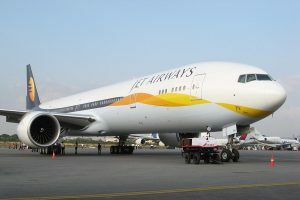 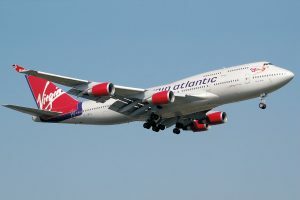 With 109 seats, 12 in First Class, 15 in Economy Comfort and 82 in Economy, the new jet took off from New York’s LaGuardia Airport bound for Boston on the evening of Thursday, February 7. The Delta A220-100 is equipped with features such as individual screen, wider seats and internet onboard the high-speed 2Ku standard. 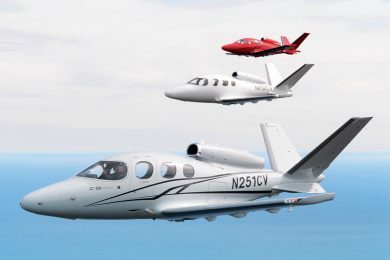 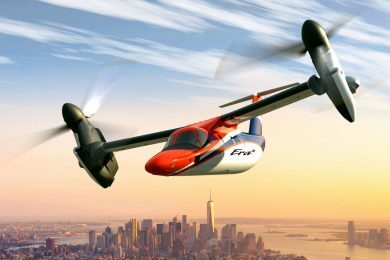 Recently, the company announced an increase of 15 aircraft in the original order, bringing the total to 90 units. Ex-CS100, the jet was designed by Canadian Bombardier who received an order for 75 Delta aircraft in 2016. 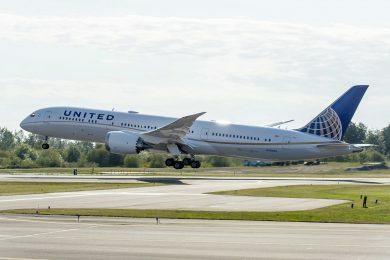 The deal bothered Boeing, who was trying to sell the 737 MAX 7, a larger aircraft than its rival. 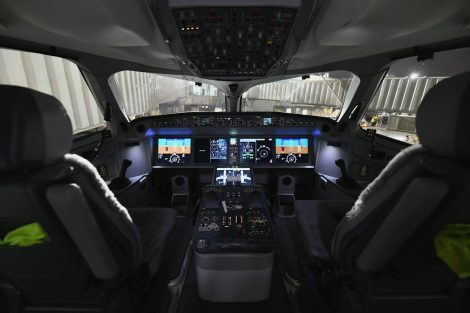 The US manufacturer eventually appealed to the US International Trade Commission on the grounds that Bombardier offered its aircraft with huge subsidies from the Canadian government that would harm its business..
Only in January 2018 did the commission unanimously decide in favor of Bombardier, making the deal viable. 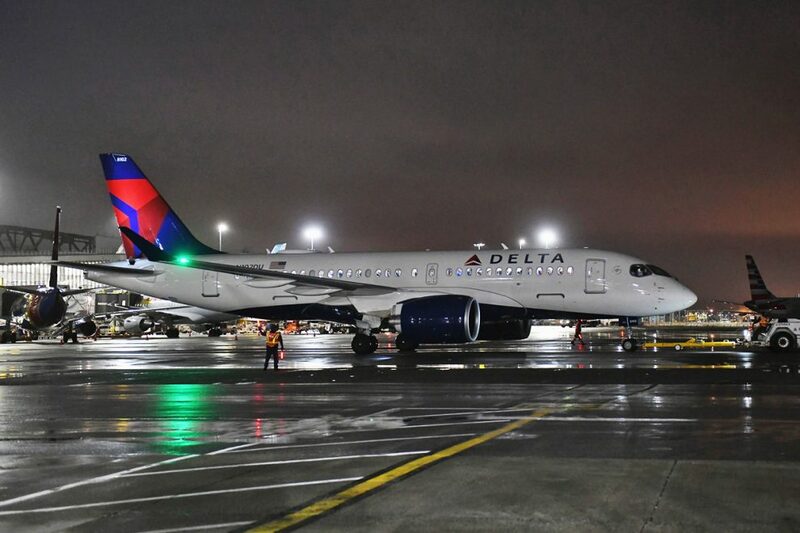 Delta then received its first A220-100 in October last year, already from the hands of Airbus, which acquired 51% of the Canadian manufacturer’s program. 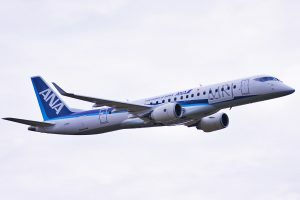 To avoid possible difficulties in the American market, Airbus will open an assembly line for the A220 in the United States at its Mobile unit in Alabama.